Who was the infamous great-grandmother? Hints of philanthropic activity, radical politics and dissenting Presbyterianism, what more could there possibly be to arouse my curiosity? So I set out on my own journey of Who do you think you are? to discover Molly Whitelaw’s antecedents. Heritage sites and Scottish censuses, bar several wrong paths, revealed three generations of both sides of Molly’s family. So which great-grandmother was she referring to? 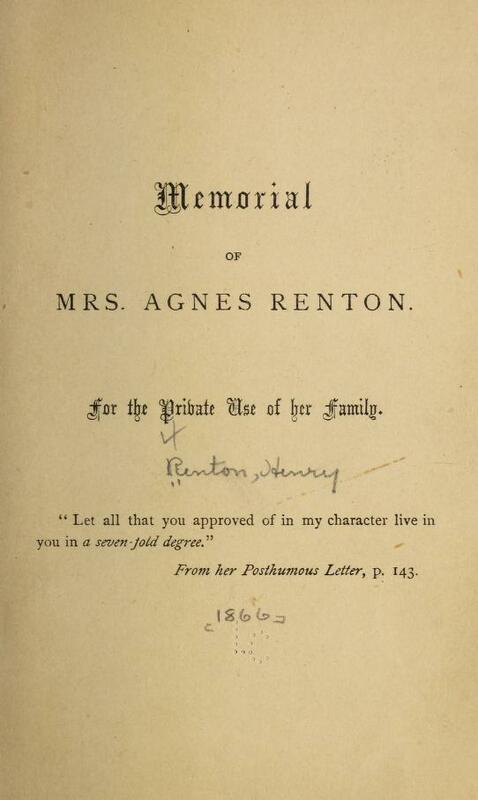 Imagine my delight when the Internet threw up a digitised copy of a Memorial for Mrs Agnes Renton, the great-grandmother Molly so admired. Not lacking in detail the 147-odd pages took some reading, how verbose writing could be in 1866! Written by her son, Rev. Henry Renton, it reflects much about late eighteen and early nineteenth century Scottish society, a study in itself, but for another time. Agnes was born on 16 February 1781 to Henry Duncan and Rachel (nee Anderson), a second-generation cloth merchant. Agnes was the fifth of ten children and the fourth daughter. They lived in a grand house, which stood back from the surrounding ‘gloomy tenement buildings’ and overlooked open fields that in time would become the New Town area of Edinburgh. Henry, her father, was a Seceder, a member of the Associate Presbytery formed in 1737 by Revs. Ebenezer and Ralph Erskine. This is another fascinating tale to tell sometime. Rachel, Agnes’ mother, also a member of the Bristo Street Congregation, was attracted to the Society of Friends whose practical philanthropy she admired and whose beliefs against state imposition over the Church she agreed with. Her fondness at attending Quaker lectures added to her already strong motivation to be active in improving the lives of others. 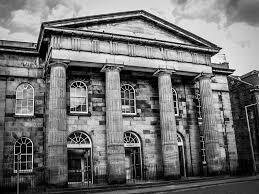 Rachel has the honour of being the only woman noted in the History of the Broughton Place United Presbyterian Church (1872) for her spiritual and practical outreach as a Bible-woman to the Canongate Mission. Both Henry and Rachel had radical political leanings, members of the short-lived Scottish ‘Friends of the People Society’ during 1792-1794. 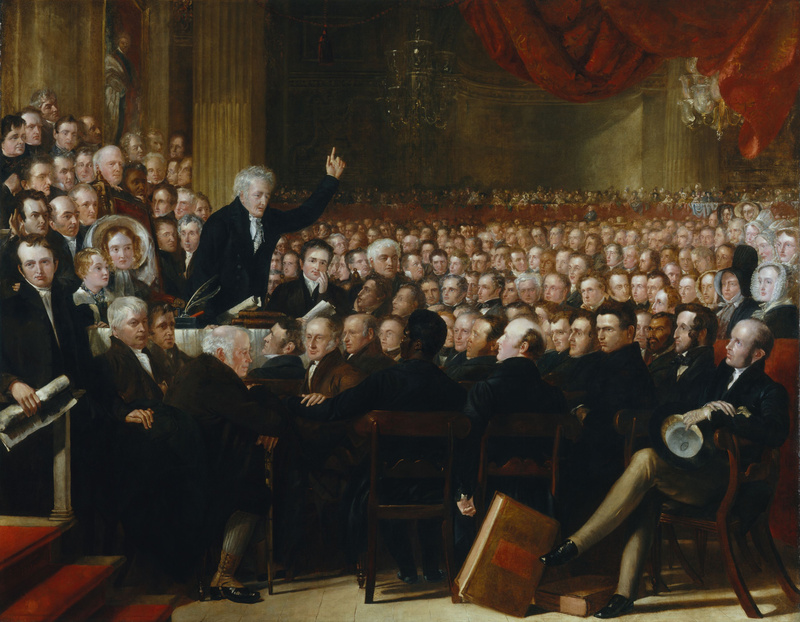 It advocated Parliamentary reform, male suffrage and peace with France. No doubt, they viewed their dissenting church beliefs and its demands for ecclesiastical reforms as linking closely with the political reforms the ‘Friends of the People’ were seeking. Agnes at a young age experienced a strong reaction to the injustices she saw around her and developed a deep interest in politics; an interest fed by the imprisonment of Thomas Muir the leader of ‘Friends of the People’. He was imprisoned for sedition and treason in 1793 by ‘a panicky Government’ concerned at a possible revolution. He was tried and sentenced to penal transportation and sent to New South Wales. While awaiting deportation Agnes, accompanied by a servant, regularly visited him with a daily meal. Her visits to Muir formed the belief that all people had a right to voice their political principles and opinions without punishment. Her support for political prisoners, especially those connected with anti-slavery often became a contentious issue among her friends. In 1801 Agnes received a proposal of marriage from William Renton, a dissenter and member of the Broughton Place Congregation. She informed him that she would never marry another man’s servant, ‘you must be your own master before you can be my husband’. Her somewhat spirited response forced him to develop a drapery business. Obviously, the drapery store proved satisfactory and Agnes and William married in July 1802, had twelve children, eight sons and four daughters, all but two living into adulthood. Described as a ‘woman of marvellous activity, energy, and goodness’ Agnes had ‘a light, well-knit, elegant person, a great agility and nerve, …and a constitution of remarkable health and vigour’. A good manager of the household with sufficient capital to employ servants and nursemaids, Agnes offered an open home in Buccleuch Place, Edinburgh and it become a centre of political and ecclesiastical activity. The burgeoning numbers of ladies philanthropic and moral reform societies evident in Edinburgh from the beginning of the nineteenth century were a godsend in satisfying her desire to see justice carried out for all people. The Memorial suggests that her membership of these groups were too many to detail, but some stand out. Her long association with the anti-slavery cause began in the late 1790s when she joined her mother in supporting the Quaker’s efforts to raise the public’s awareness to the horrors of the ‘Trade’. Although a law in 1807, outlawed British ships from carrying slaves, Scotland’s deep association with the slave economies did not end. The campaign needed to continue and by 1830 the Edinburgh Female Anti-Slavery Association was formed. The main focus was to support American women in their efforts to see the abolition of slavery and also to pressure Scottish merchants to boycott these economies. 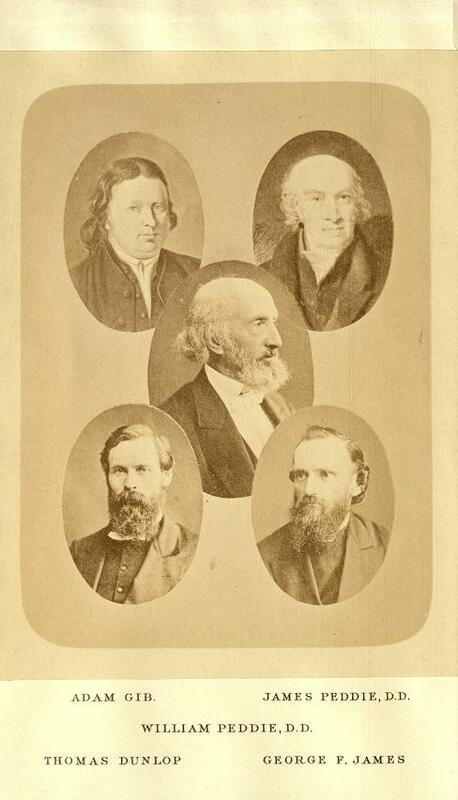 Later, in 1856, on the loss of a motion in protest against an offensive journal article, Agnes along with two others walked out of the meeting and formed a new society, which she presided over until her death in 1863. Her international interests evolved further with the establishment in 1825, of the Scottish Ladies Society for Promoting Education of Greek Females. Agnes considered the best way to raise the standard of a nation seeking independence was by educating the women. She formed a Committee of which Lady Carnegie was president and she, secretary. By enlisting the support of Rev. Dr. M’Crie and Rev. 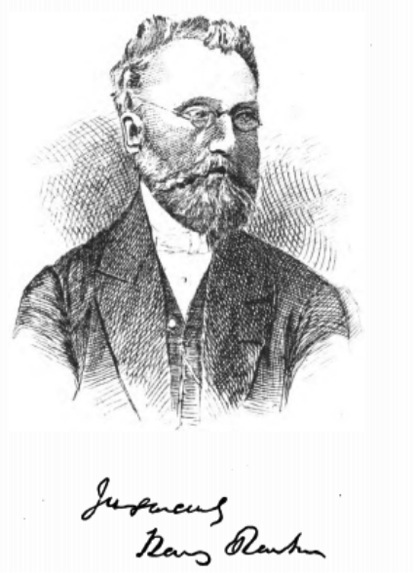 Dr. Andrew Thomson, dissenting ministers, the Society gained popular support and worked towards supporting two educational agents. The scheme eventually failed. 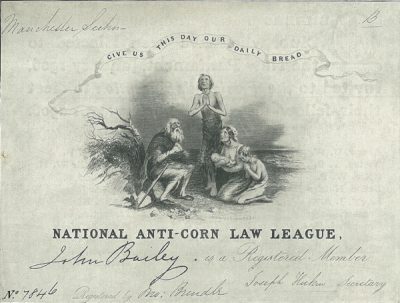 Support for the abolition of the Corn Laws campaign held high appeal for Agnes. The injustice of taxes placed on corn forcing up the price of bread and causing people to go hungry, horrified her. This was a political battle lasting 40-odd years and with other members she diligently delivered pamphlets, attended meetings and wrote letters of protest to Government ministers and officials. Temperance and prohibition movements were also life concerns and she was a dedicated visitor to the women prisoners at Bridewell Prison. The Ladies Peace Society met regularly at Buccleuch Place for many years. She attended the Second Peace Congress held in Paris, 1849. War, like slavery, she considered, were evils ‘hostile to the will of God, contrary to all the interests of man, and repugnant to the spirit of Christ … holiness and peace were the bright attributes of the Redeemer’s kingdom’. This feisty woman cared little for conventionalities, spoke her mind and took action where she believed it was required. In the next blog we will join her on her journey of faith.